At present, everything goes by very quickly, especially if you work in an office or manage a business. There are so many things on your plate that it is impossible for you to accomplish all of them and you might forget some important aspects of your business. One of the most neglected parts of the business is the proper management of taxes. An essential ingredient that ensures the success of any company is its accountancy in terms of truthful and uncensored reporting of financial facts and figures that determine its financial credibility. This is true in Brighton city as in any other city in the world. With the tumultuous twists & turns of the economy, businesses in Britain are trying hard to save every single penny possible. There are many worthy accountants Brighton city has to provide. DNS accountants in Brighton are specialists in matters related to the taxation of businesses and companies. We are very experienced in dealing with cases of properties considering tax gains when these are sold. There are thousands of clients in the Bay Street of Brighton, including businesses ranging from start-ups to the extended corporate houses. We deal with all types of business houses & large companies providing them with our experiences and offering value that other party respects and which assure us more work with the same clients in the future. 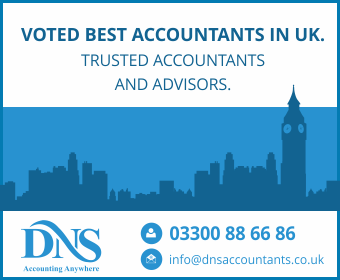 We at DNS accountants are also known for providing high-quality and cost-friendly services related to the finances, tax needs of customers in the city of Brighton. We with a long industry experience, the prominent DNS Tax Accountants in Brighton are there, in the saddle, to push through your prerequisites and remove all obstacles in acquiring for your diverse accountant services, whether they are income tax, company law matters, financial services, business process outsource, foreign collaboration and other related matters. Our services go a long way to meet the precise needs of our clients while holding fast to the standard operational criterion. On top of that, we handle any argument or disagreement for our clients. Our mission is to make available the best possible resolvability and consultancy to our esteemed clients for their individual financial matters. If you avail our services, our professionals will be responsible to properly sort your taxes. We as responsible tax accountants always update our clients by researching on new laws and report its effects on the taxes on the business. Some marketing strategies also affect the taxes and so reports on these are also be provided. Systematised and integrated working system at DNS Accountants provides tax payment schedules and our professionals coordinate and negotiate with the authorities about issues on tax payment. Our group of associates is a class apart from the other accounting firms in our modern approach towards accounting. We tailor our services according to your requirements & business, & have an enthusiastic team who delivers in a way exceeding your expectations at really affordable charges for our services. What are our methods of working? Particularly when businesses are blasting off, it is crucial to keep your accountancy department regulated. With our competent professional team business advisors, accountants and tax experts;, the DNS Chartered Accountants in Brighton have so far provided efficient services to all our clients. Though overlooking the boosting activity of tax accruals of the underlying company seems to be a distant issue, this frequently can undermine your company's performance. Accordingly, getting hands-on experience in up-to-date accounting principles supports a business with a comfortable, unstressed, unbinding, unstrained and well-balanced response. We grant experienced financial and tax saving advice that benefits clients to get more sales, more customers and thereby increased profit. Under their careful supervision, you save up to thousands of pounds of taxes. By receiving a rapid expert advice by our experts, these categories of companies are saving up a significant amount of effort, money and time. Such wise, we provide Pay Calculator for measuring, predicting and assessing the precise amount of savings on the basis of your company type. They specifically deal with calculating income, accountant fees per year, annual expenses and working weeks per year, afterwards contacting the entrepreneurs and providing business guides. Choosing the right chartered accountant is the first step towards achieving your organisation’s goals. When your accounts are in safe hands, half of your worry is taken care of. Though there are numerous tax accountants in Brighton, Hove, Portslade, Rottingdean, Lewes and Steyning to choose from, DNS Accountants in Brighton accepts this very responsibility for all kinds of businesses in all the above mentioned key areas. The very deserving winner of the elite ‘British Accountancy Awards’ in 2013, we are a group of qualified chartered accountants in the bay street of Brighton, who work 24/7 to ensure that your hard earned money is saved in every possible way. Dominating the market since 2005, DNS Accountants owns a long clientele of about 1200. We ensure that you have made the right decision in choosing us for your service whether it be simple bookkeeping task or the complex accounting & consulting services. Be it our fast response, the regular updates on business & economy, the dedicated services or the guaranteed tax saving promise, DNS leaves no stones unturned to make your business flourish like never before. We offer you the service of a dedicated accounts manager, give you the most sophisticated marketing system to work on &provide a very transparent service with all your accounts accessible to you online. We also offer a free trial of 3 months to our prospective clients, so that the clients can experience our team’s commitment before entering into any sort of contract with us. Also, your monthly fee gets waived off if you are unsatisfied or if our team fails to deliver in the manner as per our commitment. Advice is given through face to face meetings with clients or even through telephone with team members. To avoid confusion, each client is handled by a single dedicated accounts officer who is available even on weekends. If you have any queries, we are just a simple chat away assuring speedy feedback. Our team is skillful and well coordinated who would even do your bookkeeping for you if you want to get rid of it. We are sure that piece of news is enough to get all of you to sign up for our promising services.